NEW DELHI, India, April 21, 2015 (ENS) – Bowing to public pressure, the state government of Tamil Nadu in southern India has cancelled plans for a new Coca-Cola bottling plant in the town of Perundurai in the Erode District. In a letter dated April 20, the State Industries Promotion Corporation of Tamil Nadu, a government agency, informed Hindustan Coca-Cola Beverages Private Ltd. that the land allotted to the company for a Rs. 500 crore (US$80 million) bottling plant had been revoked. The cancellation resulted from a campaign led by the area’s farmers and political parties who feared it would worsen already existing water shortages and bring more pollution into the area. Oppenents in Perundurai said Coca-Cola has a “dismal” track record in India of creating water shortages and polluting with toxic chemicals. Coca-Cola had claimed that it would not draw groundwater and obtain water from the River Cauvery, and that it would not pollute. But these claims failed to satisfy the opposition. 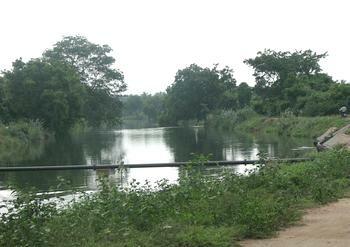 The states of Karnataka and Tamil Nadu are in conflict over sharing of River Cauvery waters. After decades of fruitless negotiations a 2007 tribunal divided the waters, but both states have filed petitions for review of that decision. In addition, the groundwater resources in Perundurai have been declared as “over-exploited” by the government, a category indicating the worst degree of groundwater depletion. Perundurai is also one of India’s most polluted places; the groundwater is colored dark red from industrial pollution. “Perundurai is one of India’s most polluted places, and we were determined that we do not want another highly polluting company like Coca-Cola to come here,” said Myilsamy Murugasamy, an activist from Perundurai who was key in bringing national and international allies, including the India Resource Center, to the campaign. A strike organized on March 5, asking shops and businesses to shut down to show opposition to Coca-Cola was a success. A large protest was scheduled for April 30, and organizers expected more than 10,000 to rally against Coca-Cola. The police had denied permission for the protest but the organizers succeeded in getting the High Court to rule in their favor on April 9. Another Coca-Cola bottling plant, about 150 kilometers west of Perundurai in the village of Plachimada in Kerala state, was closed by the state government authorities in 2004 because of toxic pollution by the Coca-Cola plant. The company currently faces legislation holding it liable for US$47 million in damages as a result of its operations. “We were made aware of the dangers of Coca-Cola through the campaign in Plachimada where the company had contaminated the land and water, and depleted the groundwater. After learning about the issues, we decided that we did not want Coca-Cola in our area,” said C. Velusamy, a key organizer with Perundurai Environment Protection Trust. Organizers of the campaign to reject Coca-Cola are now determined to use the latest victory to challenge other forms of industrial pollution in the Perundurai area. The rejection of its proposed bottling plant in Perundurai is a major setback for Coca-Cola in India as it tries to expand aggressively to compensate for rapidly declining sales in the industrialized countries. In August 2014, Coca-Cola was forced to abandon a fully built $25 million bottling plant in Mehdiganj in Uttar Pradesh because the government rejected its application as a result of community pressure. In April 2014, another proposed Coca-Cola bottling plant, in Charba in Uttarkhand state, was rejected due to community opposition. “Coca-Cola’s decisions to locate its bottling plants are driven purely by market logic and have no regard for the well-being of the communities around it. Such a selfish and arrogant model is not sustainable in India, and it will continue to fail as it has in Perundurai, said Amit Srivastava of the India Resource Center who worked with the groups in Perundurai to oppose Coca-Cola. The company also faces significant opposition in various parts of India where it has located its bottling plant in water-stressed areas, and challenges to Coca-Cola’s bottling operations are expected to grow as water conditions deteriorate across the country.